This stainless steel relief sculpture was created by artist Preston Jackson. 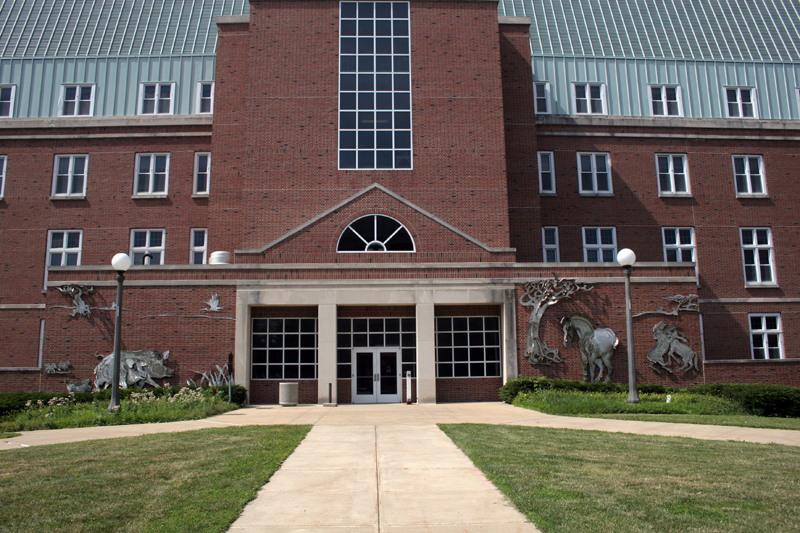 The artwork is displayed in the south exterior entrance of the Animal Sciences Laboratory. Preston Jackson received his Master of Fine Arts (MFA) at the University of Illinois Urbana-Champaign. Since then he has worked as a professor at many different schools. He currently is a sculpture professor and head of the Figurative Area at the School of the Art Institute of Chicago. Jackson is also the owner of Side View Gallery at the Contemporary Art Center in Peoria. In 1998 Jackson was inducted as a Laureate for the Arts by the Lincoln Academy of Illinois. 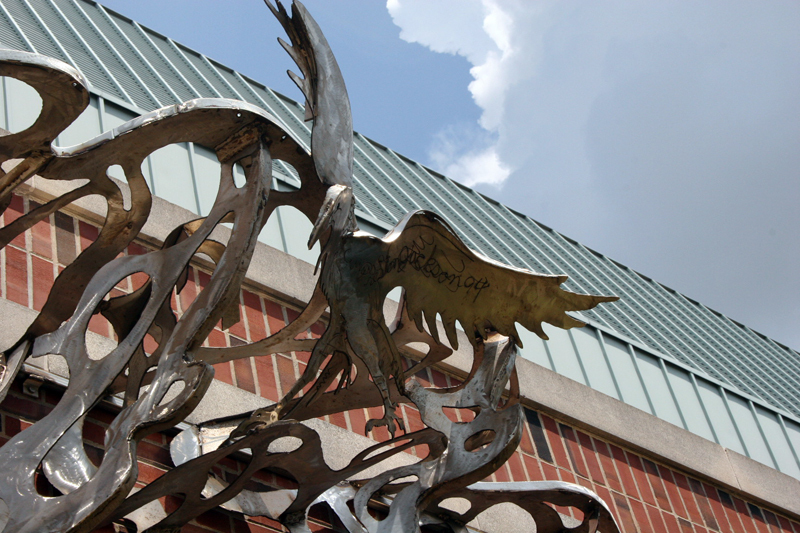 King Park in Urbana is also home to a Jackson sculpture, inspired by the legacy and ideas of Dr. Martin Luther King, Jr.
Kara Brehm, “Animal Dignity, 1994,” ExploreCU, accessed April 22, 2019, https://explorecu.org/items/show/63.